If you haven’t been able to catch Kim Harrison on tour yet, now is your chance to experience one of her stops! 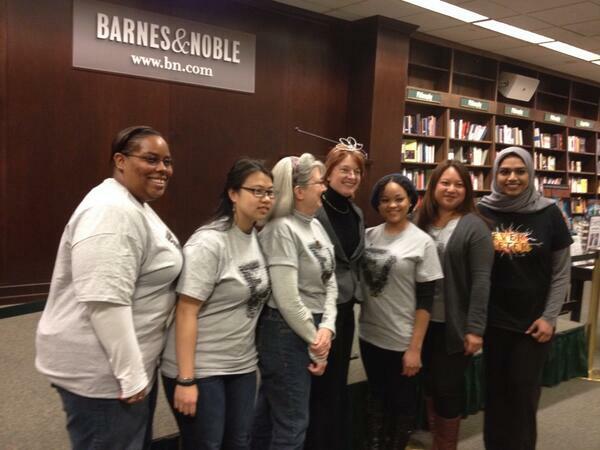 We live-streamed her Pittsburgh, PA Barnes & Noble event on Friday, Feb. 28 but if you missed it we’ve got the whole event on video for you to watch on YouTube. Click here to view it. Here are the details for the rest of Kim’s book tour for THE UNDEAD POOL.